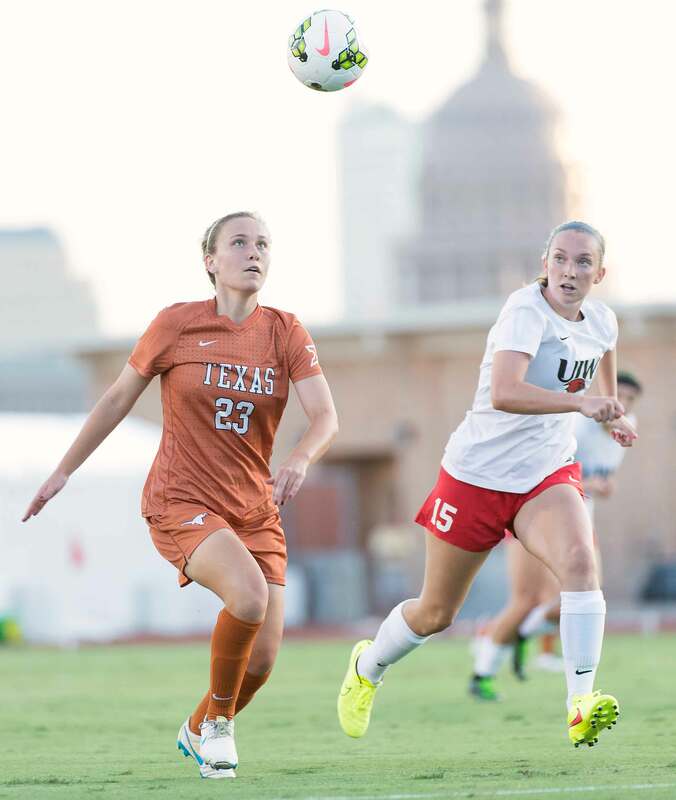 Texas Women’s soccer beat Montana 2-0 on Sun. Sept. 7 at the Mike A. Myers Stadium. Sophomore midfielder, Julia Dyche’s penalty and junior midfielder and forward Chantale Campbell’s unassisted goal in the second half sealed the win at the final whistle. Texas won its match against Texas A&M Corpus Christi, 6-0 on Fri Sept. 5th. After Sunday's game Texas now has 4-0-2 record. This win marks the second time in history Texas soccer has remained unbeaten after six matches since 2008. The longhorns kept the pressure during the first half of the match. In both matches this weekend, Texas dominated the second half. Kelly and her coaching staff maintains being ahead in preparation for their schedule this season. She stresses to her players the importance of hard work and improving each game. Dyche caused the penalty against Montana in the 66th minute of the match. Senior defender, Brooke Gilbert finished with a goal from her penalty kick. This was Gilbert’s fourth goal of the season. Dyche credits teammate, Campbell by beating her defender and taking it to the end of the line. Dyche continues to improve after the win against Montana. In the 89th minute of the match junior midfielder and forward, Chantale Campbell scored the second unassisted goal with a strong finish to end the game. She credited practice and her teammates' hard work for the win. Texas will head to Tampa, FL this week for the USF Soccer Classic. Their first match will be on Fri. Sept. 12 against Central Florida at 3:30 p.m. Followed by a match on Sun. Sept. 14th against South Florida at 10:30 a.m.